”Double M/S” is an improved version of the well-known M/S stereo recording technique. 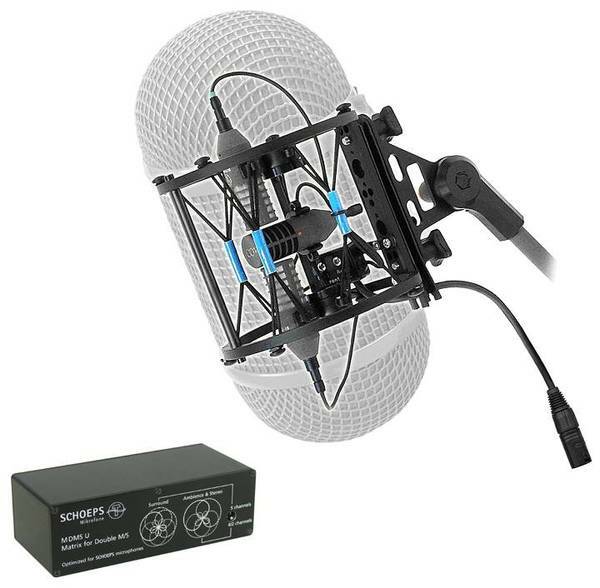 In addition to a front-facing cardioid or supercardioid ”mid” microphone and a figure-8 ”side” microphone, a rear-facing directional microphone is set up. The front- and rear-facing microphones share the signal of the figure-8 microphone so as to form two complete, back-to-back M/S systems. One M/S system then provides the three front channels (the center channel signal being provided directly by the mid microphone of the front system), while the other system provides the two surround channels. An arrangement of this kind allows flexible processing of the stereo surround image width and post-production adjustment for both of the M/S pairs. The SCHOEPS “Double M/S Tool” plug-in enables customized, intuitive decoding of the three signals of the Double M/S system. The matrix settings were determined through extensive practical testing, including ambient recordings, television shows, and theatrical and musical performances. In general the best possible results will be those obtained by using the output signals of the M DMS matrix directly. Our investigations also considered other ways to optimize the functioning of the double M/S sets in concert halls and other typical settings in which surround recordings must maintain a fundamental front-back distinction. For example, delaying the surround-channel signals can improve the perception of spaciousness and avoid localization errors throughout a wider listening area. As a further measure to improve the spatial impression, the double M/S array can be augmented with more distantly-placed room microphones. Phantom powering is required on only three of the inputs to which the M DMS is connected. 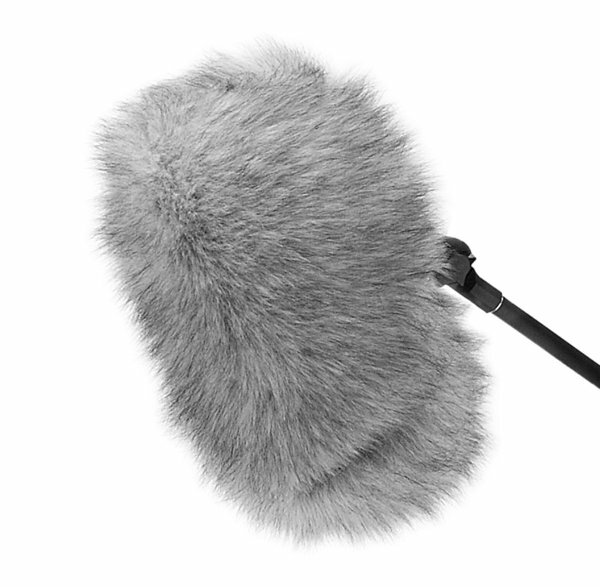 Note: The coefficients of the M DMS have been set for use with a front-facing SCHOEPS cardioid microphone. Unfortunately, the supercardioid or shotgun alternatives of the other Double M/S sets would not produce suitable results with this arrangement. A “Double M/S” VST plug-in for Windows can be obtained by filling in a registration form at www.schoeps.de/dmsplugin.html. This plug-in supports simple, intuitive decoding of the three microphone signals. For each CCM-L microphone in this set, one SGC mounting clamp, one K 5 LU output cable and a standard wooden case is included.